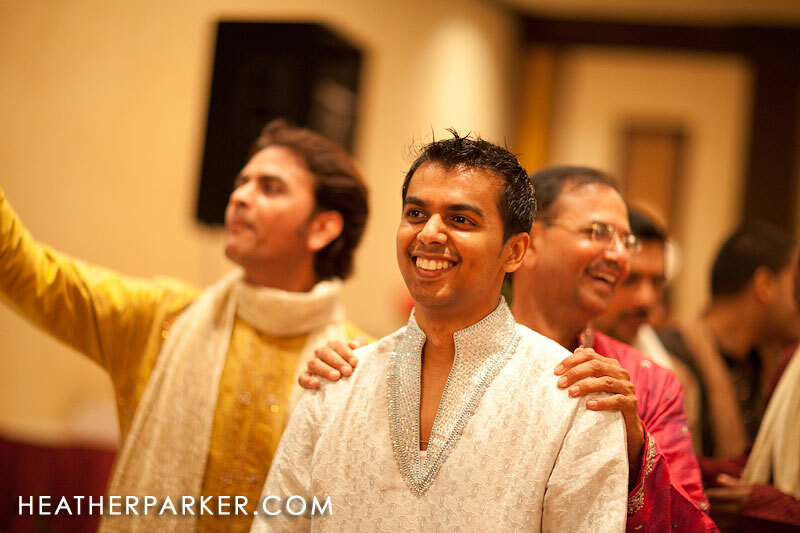 An Indian wedding raas garba is filled with so much color and excitement. 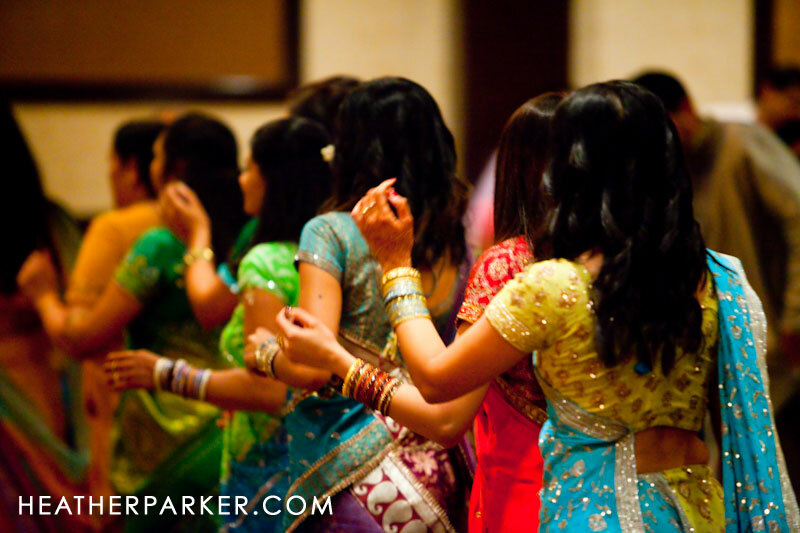 I was the Chicago wedding photographer for Aum & Kamini’s lavish Indian wedding garba. They began the evening lighting a candle together, surrounded by hundreds of loved ones who wore beautiful, vibrant jeweled chaniya choli, bandhani dupatta, and ghagra. 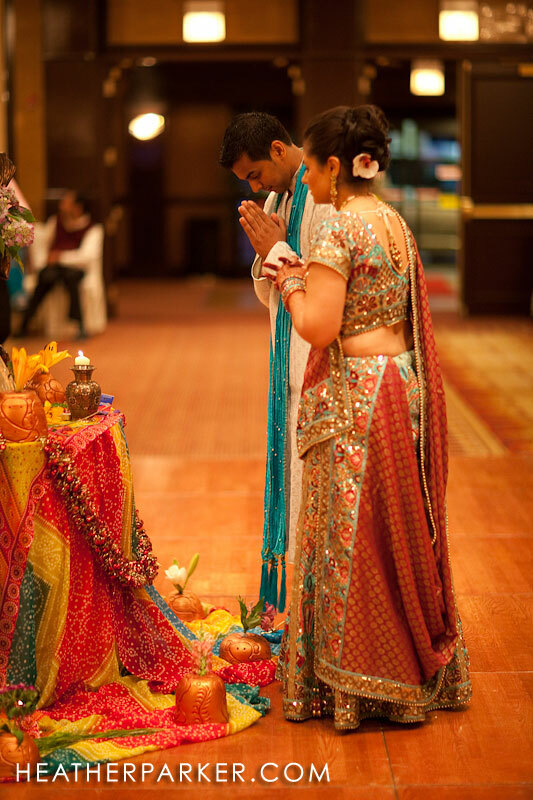 Many Gujarati traditions were incorporated into their Indian wedding celebrations. Aum and Kamini kicked off their celebration by leading the dancing. Friends and family of all ages joined in the circle, clapping their hands as they formed a concentric circle around the candle. The inner circle was reserved for complex dancing, while the outer circles were a bit more relaxed and observant. 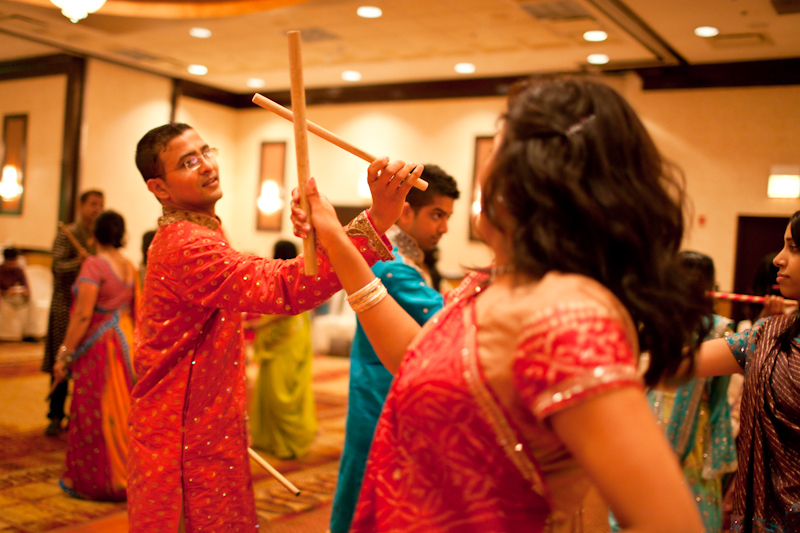 Throughout the evening, the pace folk dhol beat picked up, and dandiya sticks were handed out. Guests clicked the sticks to the beat of the drums. The bride and groom sat in on a swing and were entertained by songs about love and marriage. After photographing the garba, I stayed overnight at the hotel in order to photograph their early morning baraat and mandap. 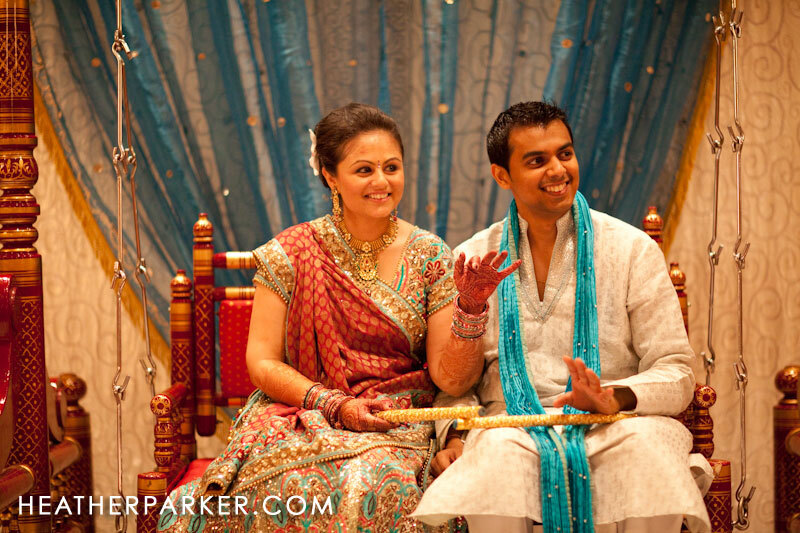 More of their Indian wedding photos will post soon, stay tuned!